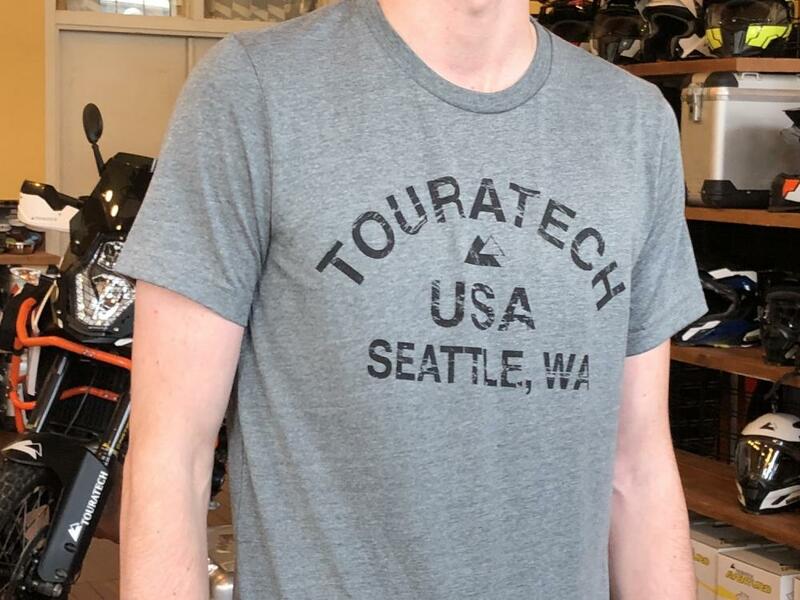 This limited-edition Touratech USA tee is made of an ultra-soft cotton blend that truly separates it from the average t-shirt. A perfect shirt for riding, running or just hanging out, it’s an awesome way to show your Touratech love in a cool and comfortable way. When these collegiate style shirts with distressed printing are gone, they’re gone forever, so get yours now!